With Batman V. Superman coming out in theaters March 25, 2016, it’s superhero season, when a young driver’s thoughts turn to Batmobiles. We’ve only seen glimpses of the Affleckmobile so far, but it looks to take after the tank-like design of the Christian Bale Batflicks to accompany Affleck’s beefier Batsuit and armor. While we wait and see how it performs on the screen, let’s talk about our favorite Batcars. 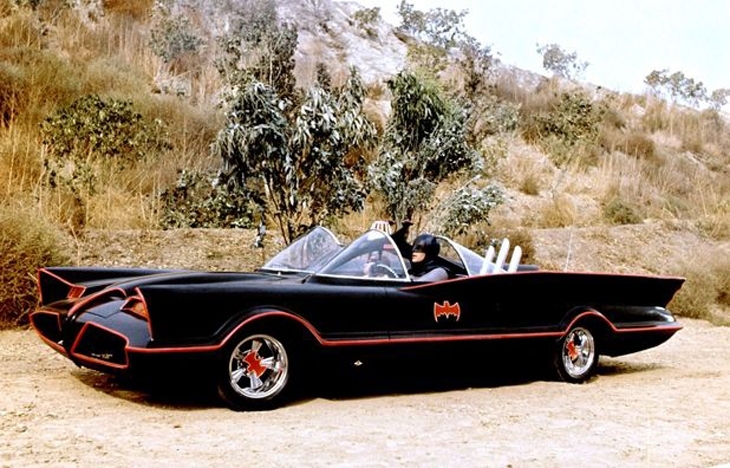 Adam West’s Batmobile was a converted Lincoln Futura. The Futura’s original body was actually crafted by a team of artisans in Italy, hammering pieces of metal over logs and stumps and whatever else was handy in order to get the right shape. The Batmobile body was designed by legendary car customizer George Barris who figured it made more sense to buy the Futura than to build a car from scratch. Here’s some weird trivia: Lincoln sold it to them for one dollar. They just wanted to get rid of it, it would seem. The car’s most famous post-Batman cameo was probably in the Simpsons episode Mr. Plow, where Adam West (voicing himself) is seen showing the car off at a car show, and then driving it down the street with its poorly-kept muffler bouncing along the blacktop. West’s weird self-satire on The Simpsons eventually led to his being cast as Mayor Adam West on Family Guy. Modeled after jet engines and custom built from the ground up, the Batmobile from the Tim Burton Batfilms, Batman and Batman Returns, was known for its distinctive black, sleek appearance. 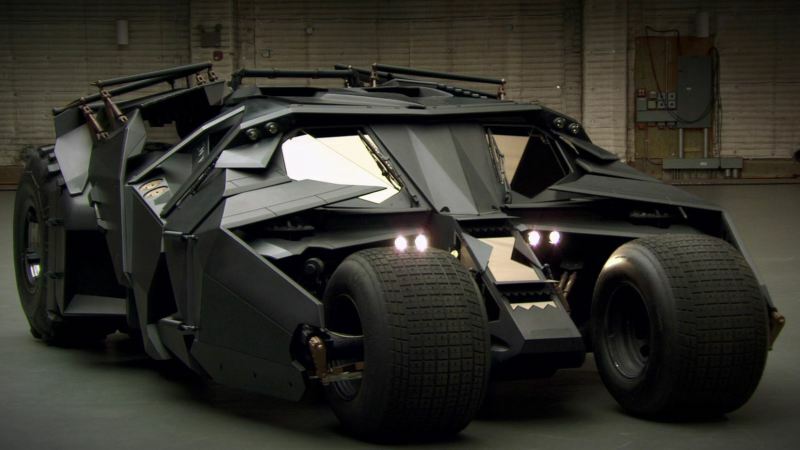 The car brought the tank-like aspects of the Batmobile from Frank Miller’s The Dark Knight Returns into the live action Batworld, being equipped with machine guns, bombs, hooks, grapples, and jet propulsion. The car’s self-driving abilities seemed impossible at the time, but as we inch closer to the Googlecar, it’s starting to look a little less silly. 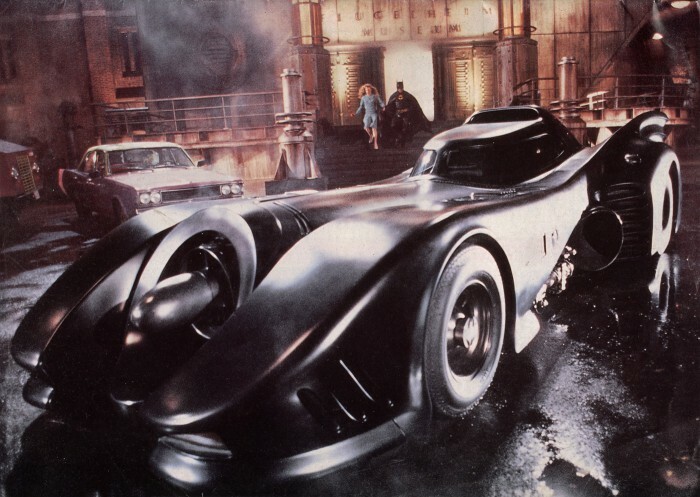 This car was the most obvious influence on the Batmobile from Batman: The Animated Series, though it was eventually redesigned for Batman Forever (interesting note: Val Kilmer’s Batmobile cameoed on The Drew Carey Show in an episode where Drew won the car in a contest, and in the remake of Arthur where it was driven by Russel Brand). In Batman Begins, Christopher Nolan delivered something much closer to the tank-like Batmobile from The Dark Knight Returns. The car here was significantly downsized, as Frank Miller’s tank had an interior with enough space for an operating table on a gyroscope, but was still large enough to break off into a motorcycle in an emergency (an idea borrowed from Tim Burton’s “Batmissile” scene in Returns perhaps). Perhaps less fun to look at than earlier versions of the car, the Bat-tank nevertheless proved a perfect fit for the grounded reality of the Nolan Bativerse, looking more like a piece of high-tech military equipment than a carshow concept design. We don’t know where Batman learned to drive. Perhaps he was taught how to operate a high-end vehicle by the same ninja clan that taught him to fight, but if you wind up getting pulled over in your own Batmobile, you may be able to get your fines down and prevent an insurance-raising DMV report by agreeing to take a defensive driving course instead of paying the full amount. Batman may be able to work outside of the law (and pay a pricy ticket without eating ramen for the rest of the month), but not all of us are so lucky.